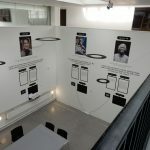 The Future of Government 2030+: A Citizen Centric Perspective on New Governance Models is a project led by the EU Policy Lab of the Joint Research Centre in collaboration with DG Communications Networks, Content and Technology (DG CONNECT). 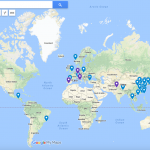 The overall aim of the project is to better understand the changing relationships among citizens, businesses and governments and to envision and discuss alternative scenarios and government models with a wider group of stakeholders. 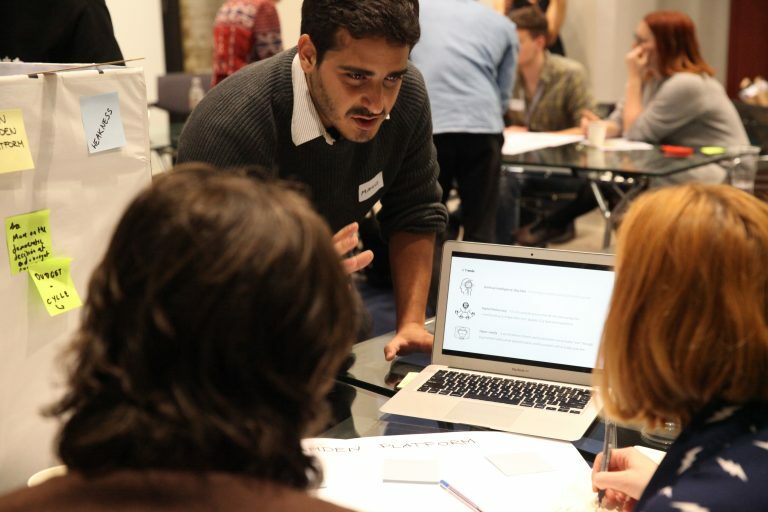 The JRC EU POLICY LAB has run a series of citizens’ workshops in six European Member States (Austria, Ireland, Malta, Poland, Spain, Sweden) plus a workshop with international civil society organizations, trade unions and think tanks (between November 2017 and March 2018, about 130 participants) to understand societal actors’ future relationships and future needs on government in 2030+. This research has been reported as three future scenarios and personas, featuring (1) grassroots co-production communities, (2) the AI driven surveillance state and (3) citizen centric Hyper E-Government. 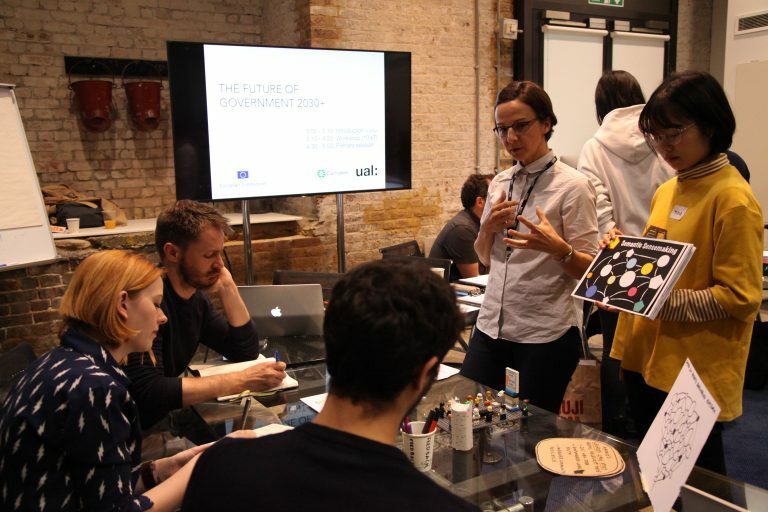 JRC EU POLICY LAB has reached out to six design schools to enable creative speculations and out of the box thinking on possible alternative models of government. 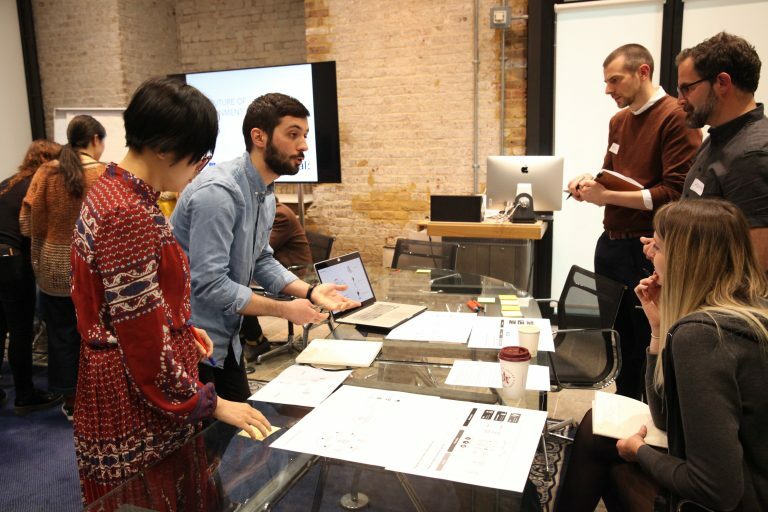 Each design schools bring expertise on speculative design, service design, design for policy, strategic design, social design, communication design and other design approaches. 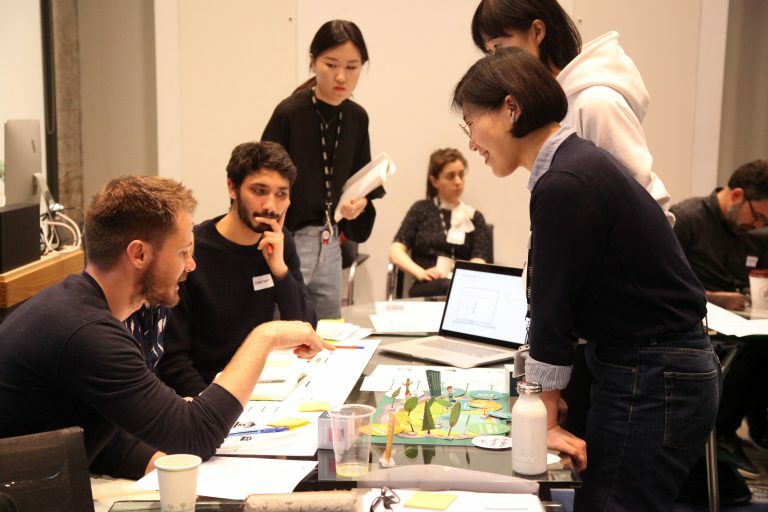 In the United Kingdom, the challenge has been taken forward by the Public Collaboration Lab (University of the Arts London) in collaboration with the London Borough of Camden, and the MA Service Experience Design and Innovation team, led by Dr. Lara Salinas. 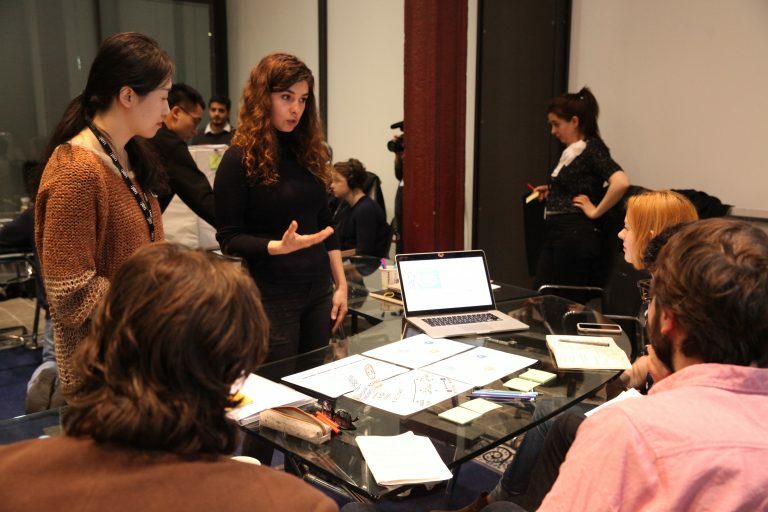 The project runs as part of the MA unit Global Design Futures. From mid March 2018 we have been working on 7 proposals for the future of government. These proposals are not only grounded on the futures scenarios and personas provided by JRC EU POLICY LAB, but also address the future objectives that have emerged from extensive civic engagement carried out in the London Borough of Camden, which themes are:(1) homes and housing, (2) strong growth and access to jobs, (3) healthy, independent lives, (4) safe, strong and open communities and (5) clean, vibrant and sustainable places. Each of the seven proposals is grounded on a future scenario and proposes either a future model of ‘open democracy’ or future models of service delivery that is applied to meeting Camden’s aspirations for the future. 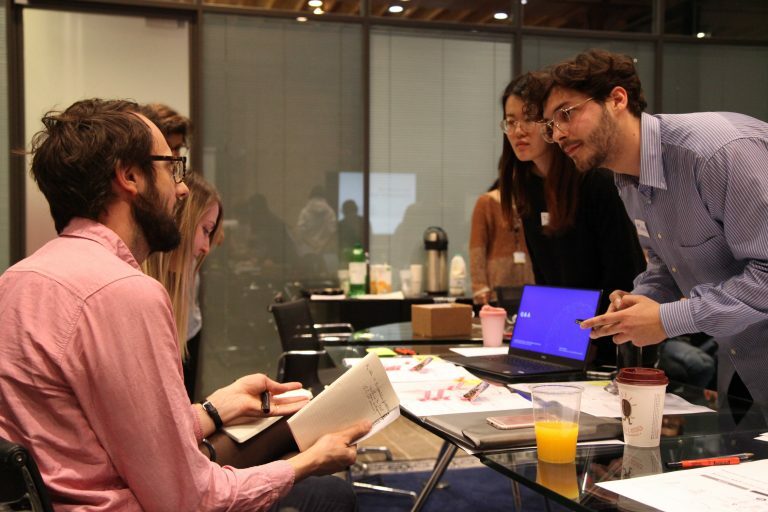 On the 27th April we shared our early prototypes on possible futures of government with representatives from Camden City Council, Policy Lab, FutureGov, NESTA, and design & policy academics, in order to gather expert feedback to help iterate and refine the seven proposals. We have taken this week to incorporate the feedback into our proposals, and would like to share our progress and invite you to continue the conversation (see links & contact details for each of the groups below). Team members (E): Michele Cipollone (micheal.cippo@gmail.com), Rui Lu, Runqiong Wang, Sujin Park. 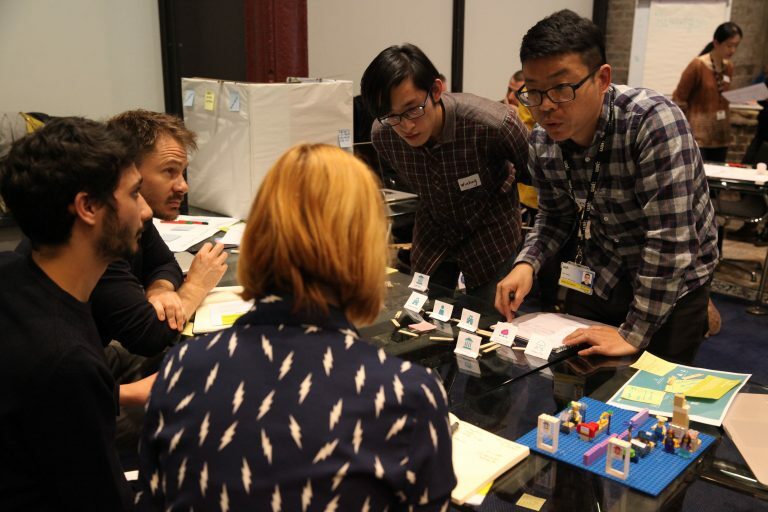 On behalf of the MA Service Experience Design and Innovation team, we’d like to thank Adam Thorpe, Charles Mealings, Phoebe Morris-Jones, Nick Kimber, Anna Williams, Stephen Bennett, Rachel Kelly, Oliver Jones, Tim Fisher, Patrick Jones and Kirsty Sinclair for your valuable contribution to the workshop.